The short film main programme will see three films competing: Chintis Lundgren’s Toomas Beneath the Valley of the Wild Wolves, Kristjan Holm’s Life24, and Morten Tshinakov and Lucija Mrzljak’s A Demonstration of Brilliance in Four Acts. The first film, Toomas Beneath the Valley of the Wild Wolves, will receive its international premiere at the Annecy film festival. In addition to his film, at the festival Chintis Lundgren also presents a commercial for Ottawa International Animation Festival. Toomas Beneath the Valley of the Wild Wolves is produced by Chintis Lundgren’s Animatsioonistuudio (Estonia), Adriatic Animation (Croatia) and Miyu Productions (France). Life24 is produced by Estonian studio Karabana. Estonian partner for Croatian-Estonian collaboration of A Demonstration of Brilliance in Four Acts is Eesti Joonisfilm Studio. Anu Laura Tuttelberg’s Winter in the Rainforest will screen in the special programme Perspectives. The stop motion puppet animation with syrrealistic undertones was shot in the state of Chiapas, Mexico, and in the Amazon rain forest in Peru. The film is a joint production between Estonia, Lithuania, and Mexico. The Estonian partner is Nukufilm. Among the selected student films are Sander Joone’s Sounds Good, Jung Hyun-kim’s Sweet Sweat, and Mari Kivi and Liis Koka’s collaboration Food Chain. All three films have been made at the animation department of Estonian Academy of Arts (EKA). The films will compete in the student film competition programme. Simultaneously with the festival, the MIFA film market takes place. Each year the festival and the market bring together more than 10 000 professionals in the field of animation – producers, distributors, directors, and journalists. This year, the Annecy International Animation Film Festival takes place from 10th to 15th of June. The creative director of the workshop is a well-known tutor Mikael Opstrup. The second principal tutor is an internationally renowned film editor Jesper Osmund from Denmark with over 100 documentary film credits. The workshop lasts for a year and consists of three parts. The first and second sessions focus on the development of narrative, visual aspects of storytelling and editing techniques. The last session will take place during the DocPoint 2020 festival with a special focus on promotion and distribution. The joint workshop promotes further film-making ties between the two countries. Both young and experienced Estonian and Finnish authors with their film projects in the development or early production stage are invited. Submissions are now being accepted for the Baltic short film script development residency “Baltic Shorts Residency”. 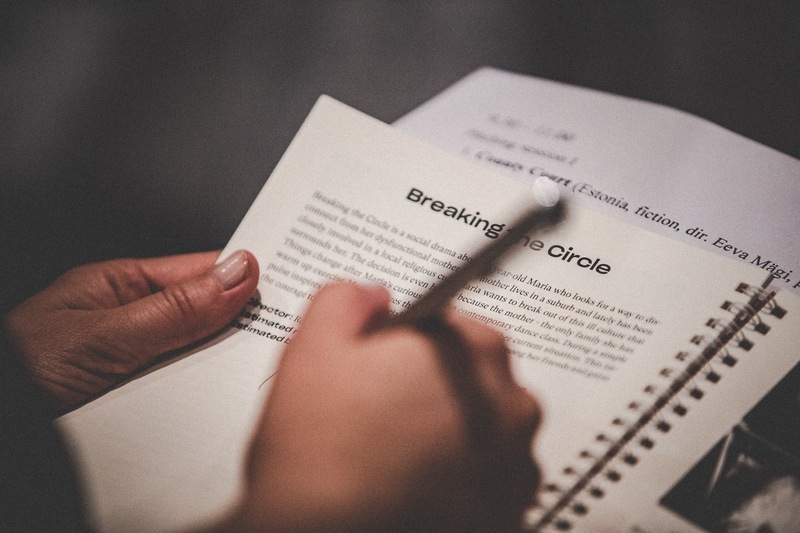 This new initiative is dedicated to the filmmakers from the Baltic countries who are willing to dive deep into the writing process along with professional consultations. Baltic Shorts Residency will take place between June 3-21, 2019, at “Kintai Arts” artspace situated in the Pomeranian region of the Curonian Lagoon (Klaipeda region, Lithuania). Eligible applicants - Lithuanian, Latvian and Estonian film directors and scriptwriters who have finished at least one short film project and are developing a new project which is fiction or animation up to 30 minutes and aimed at international audience. In the first round of production support and minority co-production support of 2019, the Estonian Film Institute (EFI) distributed 1.32 million euros. EFI provided production support for two feature films. O-2, which is based on actual events, received support worth 600,000 euros. The plot of the film takes us to Estonia around the time of the Molotov-Ribbentrop pact – to the year 1939. A captain in the Estonian military intelligence returns to his homeland to investigate the mysterious death of his colleague. Uncovering clues, the Red Army’s plan to occupy Estonia becomes increasingly obvious and Soviet military intelligence has its role to play. The screenplay was written by Eriikka Etholen-Paju, Tiit Aleksejev and Tom Abrams. The director is Margus Paju, who charmed people’s hearts with the children’s film The Secret Society of Souptown (2015). The director takes the path of a spy story for his new project. The film is produced by Nafta Films and Taska Film. The feature film Above Water received 460,000 euros. The director of the film is the well-known and acclaimed film-maker Peeter Simm and it is produced by Filmivabrik. The film, which is based on the bestseller of the same name by Olavi Ruitlane, centres on Andres, who is raised by his grandparents in a provincial town in Soviet Estonia. The comical surface narrative of the film, nevertheless conceals a painful story, where the human need for love and care is blatantly apparent. The production support for both films is divided between 2019 and 2020. In the first round of minority co-production support EFI supported the production of two feature films and one documentary film with a total of 260,000 euros. Support worth 100,000 euros was given to the Latvian-Estonian co-production Christmas in the Jungle, a children film which is directed by Jaak Kilmi. The main producer of the film is Locomotive Production from Latvia and the Estonian co-producer is Stellar Film. The film will be largely shot in the Yogyakarta region of the island of Java in Indonesia. The Danish-Belgian-Estonian co-production Erna At War received 130,000 euros. The film by Danish director Henrik Ruben Genz takes us back to the last year of the First World War and looks at the war through the eyes of a mother. The main producer of the film is the Nimbus Film and the lead role is to be played by Trine Dyrholm. The Estonian co-producer is Nafta Films. The Canadian-Estonian co-production Government Digital received support worth 30,000 euros. The documentary film directed by Chris Mullington elaborates on the challenges of global digitalisation. The main producer is Title Entertainment and Estonian co-producer is Traumfabrik. In the second round of production support for feature films in 2019, EFI has an additional 625,800 euros to distribute and 240,000 euros for minority co-production support. 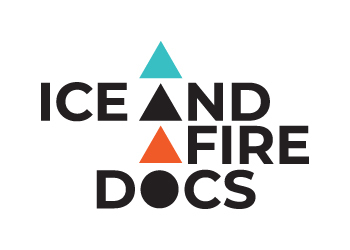 New Documentary Workshop „Ice and Fire Docs“ invites participants! 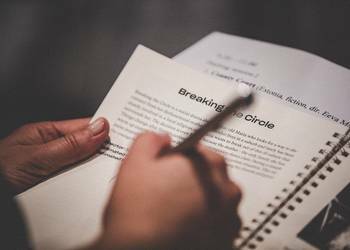 The new creative documentary workshop „Ice and Fire Docs“ for Estonian and Finnish filmmakers is a joint initiative of the Estonian Documentary Guild, the Estonian Film Institute and the European Documentary Network. It was announced at the festival DocPoint Tallinn. The joint workshop promotes further film-making ties between the two countries. Both young and experienced Estonian and Finnish authors are invited. The submission deadline for documentary film projects in the development or early production stage is March 25, 2019. The development award for co-productions between Italy and the Baltic States was created in November 2018 on the basis of an agreement entered into between Italy and the Baltic States (Estonia, Latvia and Lithuania). The purpose of granting the award is to finance the development of co-production of full-length feature films, full-length animated films, and full-length documentaries between Italy and the Baltic States. The running time of a film must be at least 52 minutes. 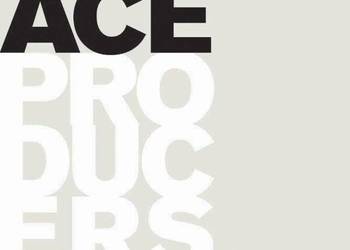 At least one of the producers must be registered in Italy while at least one producer must be registered in one of the Baltic States in order for the co-production to be eligible for the award. 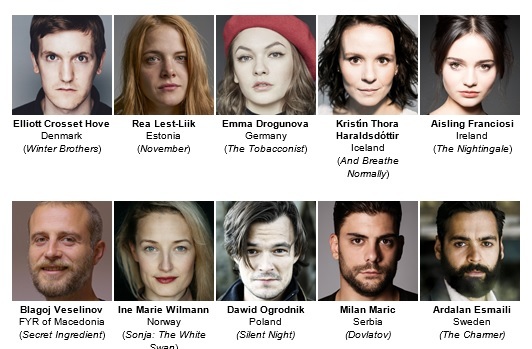 EFP (European Film Promotion) proudly presents the ten best up-and-coming actors from Europe who will be honoured at the Berlin International Film Festival 2019. EUROPEAN SHOOTING STARS - now in its 22nd year - will present ten of the best up-and-coming acting talents from Europe who are deemed ready to step out onto the international film scene by a jury of industry experts. The event taking place between 8th - 11th February 2019 during the 69th Berlin International Film Festival will introduce five actresses and five actors to the film industry, public and international press. In addition to the public exposure, the programme provides a special platform for the Stars to meet casting directors, producers and filmmakers in one-on-one meetings, offering a unique opportunity to create the personal contacts and networks needed to embark upon an international career. The busy weekend culminates in an awards ceremony at the Berlinale Palast on Monday 11th February, where each actor will be honoured with the EUROPEAN SHOOTING STARS Award donated by Leysen1855. EFP's prolific talent platform is financially supported by the Creative Europe - MEDIA Programme of the European Union and the respective EFP member organisations. Choosing the top ten actors out of a brilliant pool of European talent was not an easy task this year. Elliott Crosset Hove from Denmark swayed the jury with his "raw ability to shift from transparent vulnerability to intimidation" in Winter Brothers, for which he won the Best Actor Award at the Locarno and Vilinus Film Festivals, and a Robert, the Danish Academy Award. Rea Lest-Liik from Estonia impressed with her "fierceness, forcefulness and passion" depicted in November. The youngest up-and-coming star is Emma Drogunova from Germany. Now 23, she started filming at the age of 16 and her performance this year in The Tobacconist made her an "energetic, captivating, multifaceted and vibrant discovery" for the experts. Kristín Thora Haraldsdóttir from Iceland shows a deep understanding of her often very challenging characters, as most recently seen in And Breathe Normally, earning her the audience's "utmost trust and attention". Aisling Franciosi from Ireland, whose credits include TV series Games of Thrones and Legends, stunned the jury with her "great acting range and superb instincts" in The Nightingale, while Macedonian actor Blagoj Veselinov convinced with his "deep and unexpected sensitivity" in the multi award-winning Secret Ingredient. Dawid Ogrodnik from Poland is "a young acting force to be reckoned with," having won the jury over with his raw talent in Silent Night, and Norwegian actress Ine Marie Wilmann astounded everybody with "the physicality of her performance" in Sonja: The White Swan. Serbian actor Milan Maric thrilled with his "gloomily charismatic, brooding and affecting" work in Dovlatov, which screened this year in competition in Berlin. Rounding off the ten actors with his "tremendous honesty and leading-man qualities" in The Charmer is Ardalan Esmaili from Sweden. The members of the 2019 jury are: US casting director Avy Kaufman, film critic Tara Karajica from Serbia, Macedonian director Teona Strugar Mitevska, producer Macdara Kelleher from Ireland and Icelandic Shooting Star from 1999, Ingvar Sigurdsson. For more information on the EUROPEAN SHOOTING STARS 2019 and the full jury comments please go to www.efp-online.com. The EUROPEAN SHOOTING STARS 2019 are supported by the following EFP member organisations: Danish Film Institute, Estonian Film Institute, German Films, Icelandic Film Centre, Screen Ire-land, Macedonian Film Agency, Norwegian Film Institute, Polish Film Institute, Film Center Serbia and Swedish Film Institute. The 60th edition of the Nordic Film Days will take place in Lübeck, Germany from October 30 to November 11, 2018. The festival will celebrate the centenaries of Estonia, Latvia and Lithuania with a wide program of new and classic films from the region. The festival competition program includes “The Little Comrade” (dir. Moonika Siimets), a film made through the Estonia 100 Program, which is also the festival’s opening film. This is a very special event as it is the first time that a Baltic film has opened the festival. Lübeck will also see the international premiere of the Estonia 100 program documentary film “Roots” (dir. Nora Särak, Aljona Suržikova, Kersti Uibo, Moonika Siimets, Anna Hints, Heilika Pikkov). Other Estonian documentaries screening at Lübeck include “Rodeo” (dir. Raimo Jõerand, Kiur Aarma), “Ahto. Chasing a Dream” (dir. Jaanis Valk), “Kerro 40” (dir. Aljona Surzhikova) and “14 Cases” (dir. Marianna Kaat). The Estonian-Latvian-Lithuanian joint documentary film “Bridges of Time” (dir. Kristine Briede, Audrius Stonys) will also screen at the festival. The children and youth film program will screen the animation film “Captain Morten and the Spider Queen” (dir. Kaspar Jancis), which has already gained traction at international festivals, and award-winning “Three Days August” (dir. Madli Lääne), which will screen in the short film program. The festival also has a film dome set up, which shows 360-degree films. The program includes Rain Rannu’s short film “Beqaa VR” and a program about Estonian cities and nature, which introduces Estonia and its culture to the international and local public. The festival also includes a retrospective of older Baltic films, including the Estonian films “The Midday Ferry” (dir. Kaljo Kiisk), “Waves of Passion” (dir. Vladimir Gaydarov) and “The Firewater” (dir. Hardi Volmer). Visitors can peruse products from the Baltic countries at a fair. And there is a special section devoted to Scandinavian and Baltic books where visitors can buy German translations of Estonian, Latvian and Lithuanian authors. Of Estonian books, the selection includes “The Wikman Boys” (Jaan Kross), “Apothecary Melchior and the Mystery of St. Olaf’s Church” (Indrek Hargla), “Pobeda 1946” (Ilmar Taska) and the children’s book “Ludvig the Snowman’s Lucky Day” (Leelo Tungal). The honorary guests of the festival opening day will be the cast and crew of “The Little Comrade”, including director Moonika Siimets, actors Helena Maria Reisner, Tambet Tuiks and Eva Koldits, producer Riina Sildos, and the author of the book the film is based on, Leelo Tungal. Many other Estonian filmmakers will also introduce their films to the public at the festival. There will also be a reception coordinated by the Estonian, Latvian and Lithuanian embassies in Germany for the film industry representatives. The Baltic prize for the Best Nordic Film is given out at the festival. The Estonian representative in the jury is the Head of Production at the Estonian Film Institute, Piret Tibbo-Hudgins. New York, NY—The inaugural 2018 New York Baltic Film Festival comes to NYC with screenings of 18 films over a four-day period at Scandinavia House on Park Avenue from October 18 through October 21, 2018. The festival will feature 8 U.S. premiere screenings and 9 NYC premieres, and will include notable classic films that have rarely been seen outside of Europe as well as the latest features, documentaries, and animation films from some of the best established and upcoming filmmakers from Estonia, Latvia and Lithuania. Event programing includes a series of classic films on opening night, October 18: White Bells by Ivars Kraulitis, (Latvia, 1964), 511 Best Photographs From Mars (Estonia, 1968) by Andres Sööt, and The Devil’s Bride, the first Lithuanian musical when it was released in 1974 and widely seen as a northern European variation on Jesus Christ Superstar. On October 19, the festival presents feature films that explore being young in the Baltics through different perspectives, with the NYC premieres of The Dissidents (Estonia, 2017) and Mother, I Love You (Latvia, 2013), as well as multiple short films. Documentaries at the festival follow subjects ranging from post-occupation transitions and reflections to the world of competitive cyclists at Giro d’Italia. Films include When We Talk About the KGB (Lithuania, 2015) and Rodeo, a documentary about the chaotic first days of the establishment of post-occupation Estonian government, introduced by director Raimo Jõerand. The film Wonderful Losers: A Different World, Lithuania’s official entry to the 91st Academy Awards for Best Foreign Language Film, makes its NYC debut and will be introduced by director Arūnas Matelis, followed by a screening of Merija’s Journey, which follows an unexpected guardian of Latvian artifacts, with an introduction by director Kristīne Želve on October 20. The closing day, October 21, looks at the Baltics past and present, including the docudrama Baltic Tribes (Latvia, 2018), which will be introduced by director Raitis Ābele and others. The festival closes with the drama Together For Ever (Lithuania, 2016), presented alongside short films from Latvia and Estonia. The film line-up gives New York audiences the opportunity to experience some of the best in Northern European cinema from today and yesterday. For more information, full film descriptions and festival news, please visit: www.balticfilmfestival.com. For press information and hi-res images, please contact Lori Fredrickson at 212-847-9727 or lori@amscan.org. ASF co-presents the first New York Baltic Film Festival, with motion pictures from Estonia, Latvia, and Lithuania, showcasing the best in Northern European feature films, documentaries, and animated shorts. NYBFF opens with a screening of the iconic 1974 Lithuanian film The Devil’s Bride in its NYC premiere (77 min), following two classic short films: White Bells (Latvia, 1964; 24 min) and 511 Best Photographs From Mars (Estonia, 1968; 24 min). Three new short films explore youth and coming of age in the Baltics: Three August Days (Estonia, 2018; 20 min); The Last Day (Lithuania, 2017; 24 min); and Wild Game (Estonia, 2017; 24 min). In its NYC premiere, The Dissidents follows a trio of Estonians, influenced by the likes of “Miami Vice” reruns, who escape Soviet occupation by fleeing to Sweden, where they are greeted as heroes — but when their 15 minutes of fame fades, they realize the real world is nothing like TV (Estonia, 2017; 92 min). A day of documentary screenings kicks off with the animated short Running Lights (Lithuania, 2017; 11 min), which looks at life after death, followed by When We Talk About the KGB, which follows the return of an antiques dealer to a Vilnius hotel where he was captured during Soviet occupation 30 years earlier (Lithuania, 2015; 73 min). 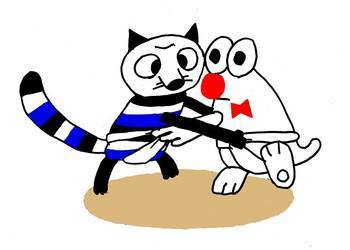 In its U.S. premiere, Rodeo uses period footage and interviews to show how Estonia assembled a fledgling cabinet in the 1990s with infinitely more goodwill than money (Estonia, 2018); it follows the sly animated short Manivald (Estonia, 2017). In its U.S. premiere, Lithuania’s official entry to the 91st Academy Awards for Best Foreign Language Film Wonderful Losers: A Different World journeys to the world of competitive cycling at the annual Giro d’Italia, where support teams help make championships possible (Lithuania, 2017; 71 min). The American-Scandinavian Foundation (ASF) promotes firsthand exchange of intellectual and creative influence between the United States and the Nordic countries: Denmark, Finland, Iceland, Norway, and Sweden. A publicly supported American nonprofit 501(c)(3) organization, ASF has an extensive program of fellowships, grants, intern/trainee sponsorship, publishing, and cultural activities. Headquartered in New York City, ASF has members throughout the United States, and alumni and donors worldwide. For more information, visit amscan.org. The Estonian submission to the U.S. Film Academy Foreign Language Oscar is Liina Triškina-Vanhatalo’s drama Take It or Leave It. The committee consisted of culture critic Tõnu Karjatse, film director Kadri Kõusaar, producer Maie Rosmann-Lill, cinematographer Mait Mäekivi, film critic Tristan Priimägi, film distributor Siim Rohtla and EFI CEO Edith Sepp. The decision was to send the Liina Triškina-Vanhatalo written and directed debut film Take It or Leave It. The choice was supported by five of the seven members of the committee. Take It or Leave It was produced by experienced Allfilm producer Ivo Felt, who has had two films sent to compete for the Foreign Language Oscar. Tangerines (directed by Zaza Urushadze) made it to the 2015 nomination list and The Fencer (directed by Klaus Härö) made the short list in 2016. According to the committee, Triškina-Vanhatalo has tackled the complicated and serious themes of single parenthood, inter-country economic inequality and the latent migration found in developed, Western countries as well as the age-eternal, human responsibility we have for our own future as well as that of our close ones. “This film sticks out for its approach to socially important issues, which feels fresh and new in our modern film world,” Sepp said. The film is about 30 year-old construction worker Erik who unexpectedly finds his ex-girlfriend at his door with the message that she has given birth to their daughter. The woman isn’t ready to be a mother so, if he doesn’t want the child, she’ll put her up for adoption. Take it or leave it! This long, complicated, at times even comical path to becoming a father turns a regular man into an everyday hero, a Superman who is ready to fight for his fatherhood with tooth and nail. The main character is played by Reimo Sagor for whom this is a feature film lead role debut. According to Felt, Take It or Leave It tells the story of a regular man growing into being a father in a straightforward and non-moralizing manner. “Liina Triškina-Vanhatalo’s modern take on this theme is effective and moving but it doesn’t underestimate the viewer. We believe the film will find an audience outside of Estonia and we will do everything we can to make that happen,” Felt said. The film’s line producer is Johanna Trass, the DOP is Erik Põllumaa and the editor is Tambet Tasuja. 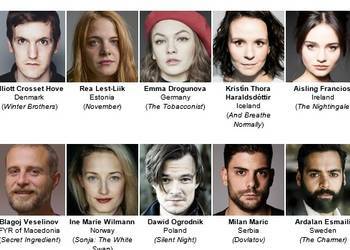 The cast includes Reimo Sagor, Nora Altrov, Emily Viikman, Liis Lass, Adeele Sepp, Epp Eespäev, Andres Mähar, Egon Nuter, Mait Malmsten and others. The US Film Academy will hand out Oscars for the 91st time on February 24, 2019. From August 23-27, the Hiroshima International Animation Film Festival program will show a record number of Estonian animation films in honor of the Estonia 100 program, making this the largest Estonian animation focus in the world. 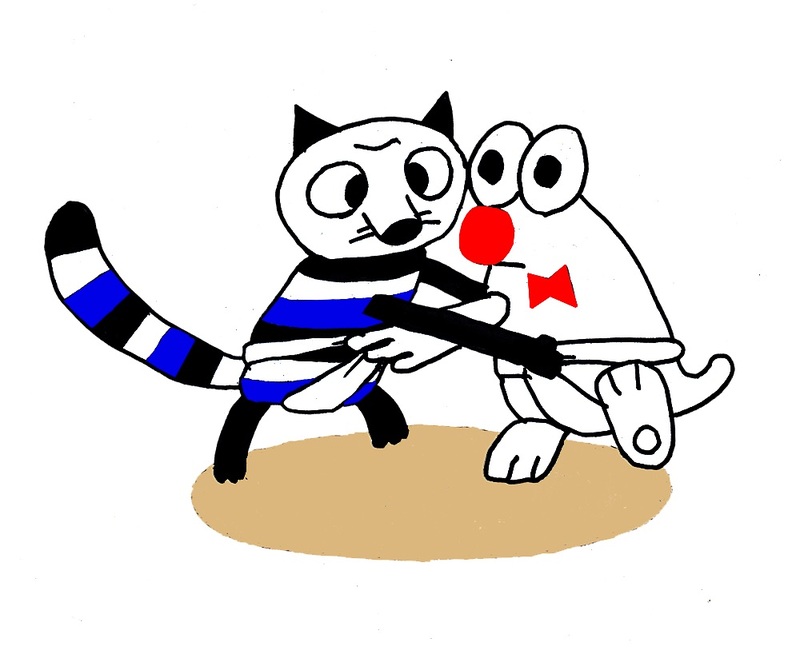 “No festival has undertaken such a massive focus on Estonian animation films before,” said the Estonian coordinator Mari-Liis Rebane about this event honoring the centenary of the Republic of Estonia. “This is a prestigious festival that was founded in 1985 and is now considered one of the most important animation film festivals in the world. This year’s program includes more than 300 animation films, including features, TV series, commercials and animated documentaries. We are also happy that the international competition program includes four Estonian films and that Estonian animation maestro Priit Pärn will serve on the international jury,” Mari-Liis Rebane added. The program was curated by festival director and founder Sayoko Kinoshita, who visited Estonia in January to meet filmmakers. Meetings with Estonian animation studios and in-depth research lead to a focus program that encompasses a varied and vibrant overview of different directors and studios. The Hiroshima program will show more facets of the Estonian animation film industry than any other focus has been able to do so far. A total of 20 filmmakers will travel to the festival to introduce their films and meet the audience. “The program will show many older films on 35mm, making it a rare opportunity to see these films on the big screen. Preparation for the films to travel to Japan meant hard work on the part of the film studios, the Estonian Film Institute, the Film Archive as well as the Estonian Embassy in Tokyo – and they all did their best to make sure the film canisters would make it to Japan,” Rebane said. Estonian directors and their films have screened in Hiroshima before. In 1992, Rein Raamat participated in the festival jury and Rao Heidments has been on the festival programming board. Accolades have gone to Priit Tender for the films “Viola” and “Kitchen Dimensions” and to Rao Heidments for the film “Instinct”. In 2010, Priit and Olga Pärn received the Hiroshima Special Award for their film “Divers in the Rain” and in 2016, the festival jury acknowledged Riho Unt and Chintis Lundgren. The festival takes place from August 23-27 in Hiroshima, Japan. The event is part of the Estonia 100 program. The Hiroshima Animation Festival Estonian program is coordinated by the Estonian Short Film Center ShortEST in cooperation with the Estonian Film Institute and Estonian animation studios. The EFI 2018 development support for TV mini-series in the amount of 40,000 euros received 10 applications. A five-member jury selected two projects with very different target groups. The committee included outside experts Jüri Pihel, a TV director-producer and Baltic Film and Media School lecturer and Kaupo Karelson, TV-producer from the production company Ruut, as well as EFI experts CEO Edith Sepp, Head of Production Piret Tibbo-Hudgins and Budget Consultant Endel Koplimets. 20,000 euros were allotted to each series. “Several projects submitted were worthy of additional development. We supported the two projects that had the most potential for success outside of Estonia,” said Karelson. “The Deep” is a large-scale undertaking for our Estonian film industry. The primary producer, Ivo Felt of Allfilm, has invited co-producers Borje Hansson from Sweden (Bright Pictures) and Jörg Bundshuhi from Germany (Kick Film) to join his team. “Including state support in the developmental phase of mini-series is a very important milestone and a clear signal that the film and television world values the time that screenwriters spend developing a quality architectural backbone and cohesive form as the story moves from episode to episode,” said the primary screenwriter for ”The Deep”, Lauri Lippmaa. Lippmaa’s story further develops his master’s thesis from the Screen Academy Scotland and he has included other screenwriters from his course in the project, including Alexia Fernandez Frasquet from Spain and Paul Cahill from Ireland as well as his teacher Nigel R. Smith from Scotland as the story editor. “We are also trying to instill a somewhat new notion for Estonia – that of the writer’s room – hoping that it will give the story systematic density,” Felt added. The other project to receive support was a series developed out of Nafta Films’s popular children’s series “The Secret Society of Souptown” called “The Secret Society of Souptown And Cucumber Mafia”. Producer Esko Rips’s co-producer on the project is Nina Laurio from Finland (Solar Films). The eight-part mini-series is being developed by screenwriters Andris Feldmanis and Livia Ulman and directors Helen Takkin and Oskar Lehemaa. The success of “The Secret Society of Soup Town” (92,000 domestic admissions, dubbed into nine languages, sold into 10 countries and screened at 60 festivals) lays the ground for probable success for development into a series format. In addition to a detective story, the series can shed light on the personal problems and joys in the lives of the four main characters as well as supporting roles. In the story, the children disappear into the virtual reality world of their smart devices, i.e. about the modern day addiction that seems to stem mainly from loneliness and the seeming feeling of security that comes from social awkwardness. “We see the physical form of this addiction: children literally freeze in one place – their motionless bodies hold eyes that still keep searching for contact and help. So the adventurous backdrop gives room to talk about very serious and timely things,” said Tibbo-Hudgins. The next edition of the Riga International Film festival's Forum, an annual pitching forum and co-production platform for children's film creators, will be taking place from October 18-19, 2018. The compact two day event will feature a pitching session for children's film projects in development stage (with estimated release no later than 2022). The best project will be awarded a prize of 5000 EUR, to be spent on post-production services at the Riga-based service company BB Rental. - Young experts' sessions — opportunity to present the projects to a potential target-audience — children aged from 7 to 14 and get their feedback in a moderated session. In 2017 RIGA IFF FORUM gathered guests from 16 different countries. The award for best project went to 'Eia's Christmas at Phantom Owl Farm', a winter adventure tale produced by Estonia's Lux Film. In close cooperation with local tech event and multimedia content producers, Story Hub, and with support of the startup community, TechHub Riga, Forum will feature a conference focused on educational content creation for children in the new yet swiftly evolving mediums of virtual and augmented reality. Those inspired by the seminar are welcome to attend a 24h hackathon, where they can combine creative ideas with the sharp minds of the Baltic tech scene and bring to life their ideas for a VR/AR-based product for children. 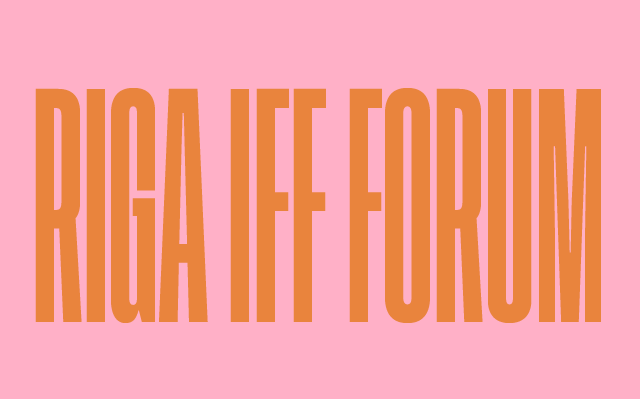 Apply here by the 15th of August to pitch your projects at the RIGA IFF Forum –rigaiff.lv/2018/lv/project-pitching-session-projects. The list of the confirmed projects for the pitching session will be announced by August 22. If your project is selected for pitching at RIGA IFF Forum, your accommodation for up to 3 nights and travel expenses will be covered by the festival. The fifth edition of Riga International Film festival will take place from October 18 - 31. RIGA IFF consists of twelve film programmes, diverse industry events and a selection of thought provoking public discussions. The Training Days are designed to meet the needs of upcoming producers, at relatively early stages in their careers, from Finland, Denmark, Norway, Sweden, Iceland and Estonia. 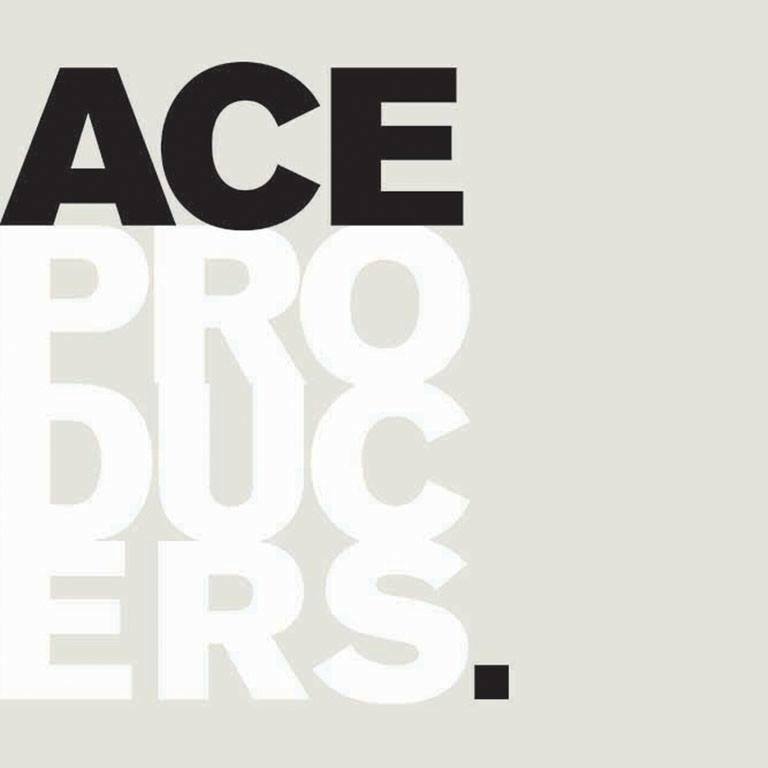 Participation is not be limited to producers with the same high level of experience as is required for the main ACE Producers training programme. The Krakow Film Festival has chosen Estonia as its country of focus in honor of the Republics 100thanniversary. The program begins on May 27thand includes six documentary films and an animation program of student films from the Estonian Academy of Arts curated by Priit and Olga Pärn. The focus also includes a conference on the production opportunities and film landscape in Estonia. The festival ends on June 3rd. The documentary film program will screen Raimo Jõerand and Kiur Aarma’s “Rodeo”, an open and self-deprecating story about the creation of modern Estonia. The program will also feature the international premiere of Jaanis Valk’s film “Ahto. Chasing a Dream” about dreamer, adventurer and seafarer Ahto Valter. The program also includes Ksenia Okhapikina’s poetic documentary about a war torn Chechen village and it’s symbolic center in a graveyard and Peeter Rebane’s “Tashi Delek!”, a universal story about the conflict between spirituality and materialism. The Estonian program also includes Aljona Surzhikova’s “Paradise Behind the Fence” – a story about what the 2014 winter Olympic Games meant to the Estonian villages around Sochi, Ingel Vaikla’s “Roosenberg” – a film that premiered at IDFA and gives a personal view of meeting four nuns in a modern Belgian cloister, and Terje Toomistu’s festival success “Soviet Hippies” about local flower children in the Soviet era. The Estonian Focus at the Krakow Film Festival is made possible by the Estonian Film Institute, the Estonian Embassy in Warsaw and the Organizing Committee of Estonia 100 of the Estonian Government Office. The goal of the focus is to improve awareness of Estonian film culture, promote cooperation between Estonia and Poland and celebrate the centennial of the Republic of Estonia. Special programs of Estonian films will screen at many large, international festivals thanks to the International Program of Estonia 100.